Baby Shower - Why, When and How? You are at:Home»Mom»Body & Mind»Baby Shower – Why, When and How? 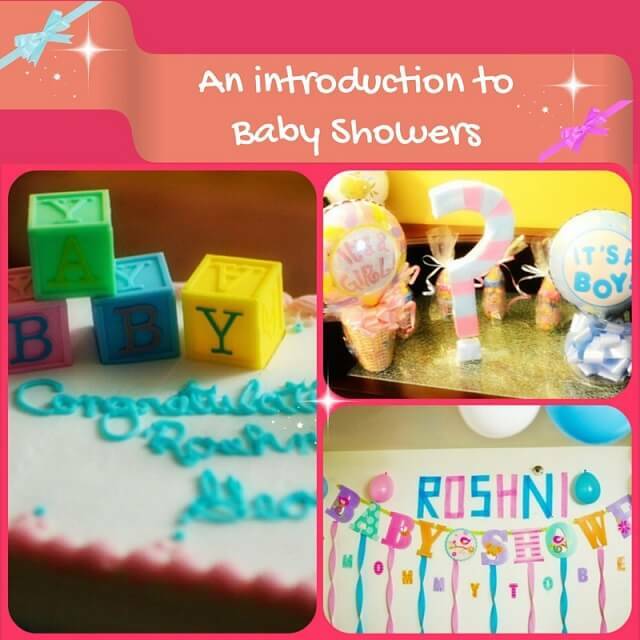 Baby Shower – Why, When and How? What is a baby shower? Why and how is it conducted? All your doubts are cleared here. Baby showers are happy celebrations conducted to shower blessings as well as gifts for the expected mother. 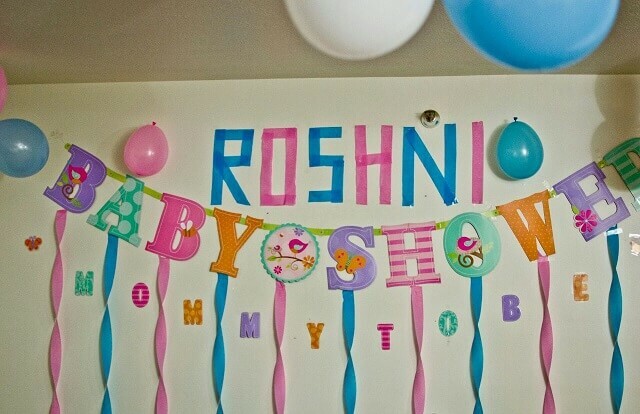 We find various forms of baby showers all over the world. For example in India itself we have different ceremonies, like the one held in North India which is called as Godhbharaai which is quite similar to its South Indian Version Valakkaappu. In Kerala, there is a function held on the 7th month in which the expected mom is taken to her maternal family for delivery and is brought back only post delivery. All of these baby showers though they differ, the aim is to keep the mommy-to-be happy. You can refer to the must haves in the bag for hospital. Am from Kerala and unfortunately I didn’t have a traditional Kerala style baby shower as I was abroad during my pregnancy. But my darling friends and husband conducted three baby showers for me!!! Today’s post is also about how to conduct a baby shower. This as I told is not the traditional one we have in India, but the western style baby shower. Nowadays I see these kinds of baby showers conducted by people even in India. Lets look into detail as in who conducts it, the guest list, how to make it memorable and so on. 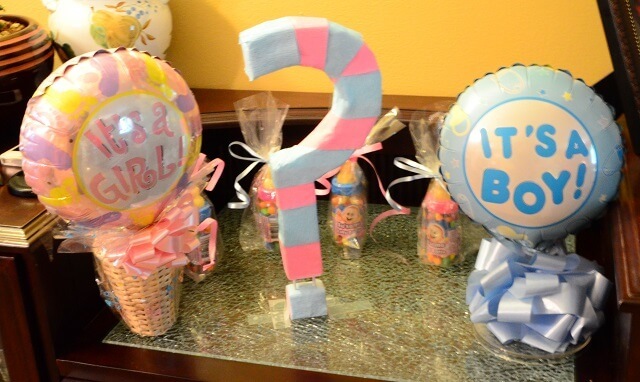 Who conducts a baby shower? Your best friend or close friends normally host baby showers. It could be a surprise one or in some cases the mommy to be is told the date so that she can also plan accordingly. What is the ideal time to conduct a baby shower? Any time after the 7th month is fine to conduct the baby shower. Make sure it is not too close to the delivery due date for reasons like an early delivery could spoil the plan and also the mommy is going to be a bit tired by the 9th month. So if you are really planning to give a day full of fun and surprises why not give it when the lady is energetic enough to handle all that. How to prepare the guest list for baby shower? Now who all to call for the baby shower depends totally on who conducts it and for whom is it conducted. A few would want to have a very personal baby shower with their very close friends alone. But for some the number of guests will be on the higher side. So depending on the mommy or the parents-to-be the list should be made. Obviously a close friend would have no difficulty in getting this done. 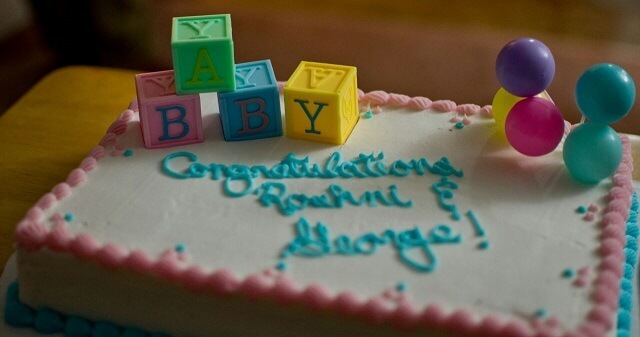 How to make baby showers special? The entire purpose of conducting the baby shower is to make the parents-to-be happy. The games and the fun filled day itself would be a memorable one. I would like to share one of the best moments that I had. Being away from India was a hard thing for me. My husband, who got the idea from a close friend LC, did a video of all my friends wishing me for my baby shower. I was miles apart from them all, all of them in different countries and places. It was really a surprise moment and I couldn’t control my tears. Everyone right from my school gals to my spinster roomies were there. Likewise if we think and plan we could do something very personal to make it special. Hope you liked my introductory article on baby showers. We are shortly going to discuss more baby shower related topics in the upcoming posts. Do let us know in comments about the baby shower you had and share your story with us. Previous ArticleHow To Introduce Cow’s Milk for Babies? A working mom who balances both her professional as well as personal life, Roshni tries to be a best friend to her 2 year old Lynette, fondly called as Linu. She along with her husband try to bring up their little one in the best possible way.